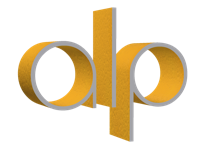 alp is made by a MULTIDISCIPLINARY TEAM qualified professional with extensive experience in various specific fields involved in Architecture, Engineering, Landscape Architecture, Interior Design and all integrated in a property development áreas. Through projects designed, planned and developed as a team with the client, we transmit knowledge, techniques and methodologies that enable the evolution manage and improve their skills. To do this, alp Project Management has accredited and qualified professionals INTERNATIONALLY RECOGNIZED, skilled in the management, organization and animation teams, using the most advanced techniques and using the best tools in each domain. Our customer focus, commitment to innovation and continuous improvement, and the quality of our responses and allow us to operate in various projects related to the fields of Architecture, Urban Planning and Communication anywhere in the world.